The extremely-limited edition Jensen GT is the first new Jensen in 13 years. But Jensen says this is only the beginning, as the people behind it intend to launch a new Interceptor in 2016. 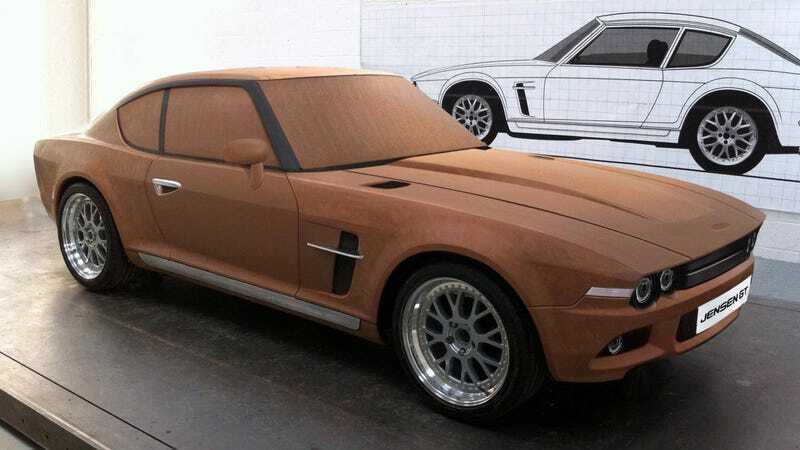 The GT is the result of a collaboration between The Jensen Group and Jensen International Automotive, who might be familiar because of their resto-modded Interceptor R lineup. Just like those cars, the new GT uses a supercharged V8 from GM producing 665 horsepower, linked to a six-speed manual or a six-speed semi-automatic sending the juice to the rear wheels only. Adjustable traction control comes as standard, which is a good thing. Evo reports that the GT is constructed from machined aluminum ribs to which composite and aluminum panels are bonded. The doors are steel, while the passenger compartment uses a carbon fiber and foam sandwich-style construction bonded to a steel spaceframe. From the chassis hangs independent double wishbones at each corner, a design derived from their ill-fated S-V8 from 2001. The Jensen Group is currently engaged on a project to launch Interceptor 2 in 2016, which may involve collaboration with an established automotive group. The Jensen GT will fill the gap between the last true Jensen, the Interceptor of 1976, and an all-new, state-of-the-art car due to be revealed in 2016. Am I skeptical? Only slightly.